If you reside in Japan, or have visited there, you might not need to read this newsletter. On the other hand, you might learn something new! When we discuss the Craft, we are usually referring to ancient practices in Western Europe, as well as modern practices in the United States, Europe, and Oceania. So what about places like Japan? Christianity spread rapidly in Europe two thousand years ago, then to the Americas upon conquest in the 15th and 16th centuries, and today to parts of Africa. The Islamic Faith began in the 7th Century A.D. and rapidly spread to what is now called the Middle East, as well as parts of Spain and Northern Africa. But certain parts of the largest and most ancient civilizations have been untouched by these so-called Western Religions. What is the official religion of China? What about India? And Japan? Though we will not delve too deep into these first two today, China is considered a pluralistic state. Many individuals practice Buddhism. Others still adhere to the ancient ways of Taoism and Confucianism. Some have adapted to the more modern communistic ideals as a spiritual mindset. There are even a significant amount of Jews, Christians, and Muslims residing in China. A significant part of the Indian population is Muslim as well. However, the majority in this nation follow a form of Hinduism, a religion older than even Judaism. In Japan, there are some Christians, Jews, and Muslims as well. Yet primarily the spirituality of the nation is defined as Shinto. Shinto, also referred to as kami-no-michi, is directly translated as "Way of the Gods." It is a very unique faith that attempts to connect the early formations of the Earth to the modern day, with the neurasthenia of complex civilizations. Essentially, though Tokyo is the largest city on our great planet, with many high rise buildings, a plethora of corporate headquarters, nuclear power plants, marketplaces, and laboratories, Shinto teaches not to forget our roots. The Earth started as a giant rock orbiting around the sun. Then came plants and animals. Finally, humanity arrived. This is a coherent path created by the Divine for a reason, and its significance should not be ignored. Throughout this path, Kami, best translated as Spirits, have come and gone, contributing something special all the way. Shinto has a creation myth much like other religions. There are a variety of forms (or sects) of Shinto. 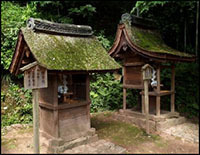 Some prefer to pray through the use of shrines, as has been commonplace since Shinto ideals have arrived. Others utilize Shinto through a folkloric means, developing stories and ideas about the gods as time progresses. 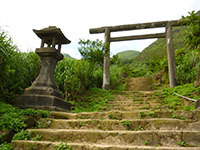 Others believe that Shinto encourages a social hierarchy. That is, that the Japanese Imperial Household are the religious as well as political leaders, and that the public in general should follow their ways. Different individuals who practice Shinto have distinct views on the afterlife, the importance of history, and the significance of nature. The binding force in this faith is that one must not be impure of heart. Those who practice often go through purification rituals. When they make daily decisions, they try and do the right thing - that is, what is best for everybody around them. In the end, this focus on purity is what Shinto is truly about. To me personally it's not other better way than voodoo I strongly believe it and I know for a fact that Voodoo is extremely effective......The only problem it's difficult to find the well organize kits, anything-else's other than voodoo it's a waste of money, and precious time....Coz it's a well known fact, that most Wiccan kits are "ineffective" therefore, are considerate rip-off. I want to become one of you. ?? Very interesting and would like to learn more so that l become part of it. Thanks a lot. I myself hold all the elements in my soul yet not sure how I release.